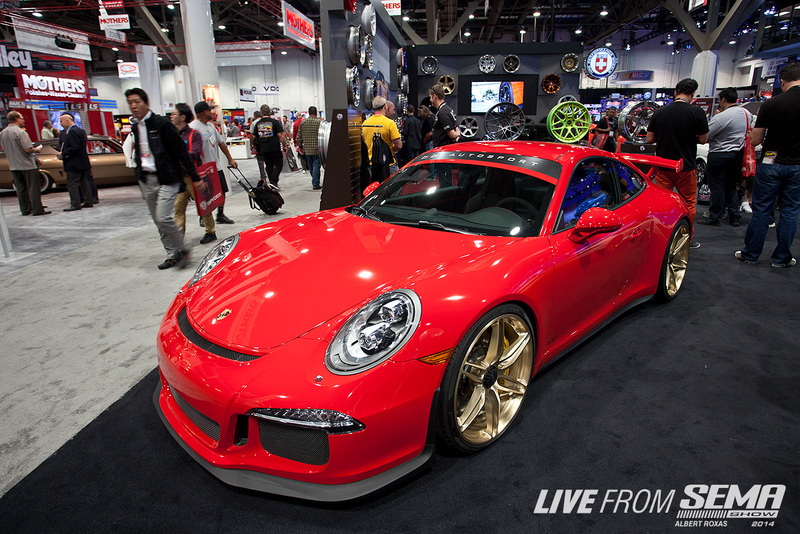 SEMA 2014: No Guts, No Glory. What's So Special About a Booth? 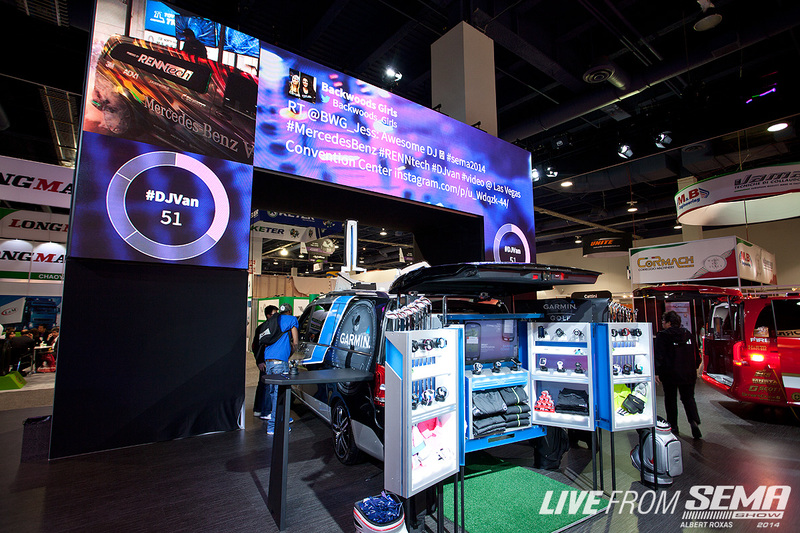 Sure, you need awesome cars and products to keep your booth at SEMA busy, but first you've gotta have an awesome booth! 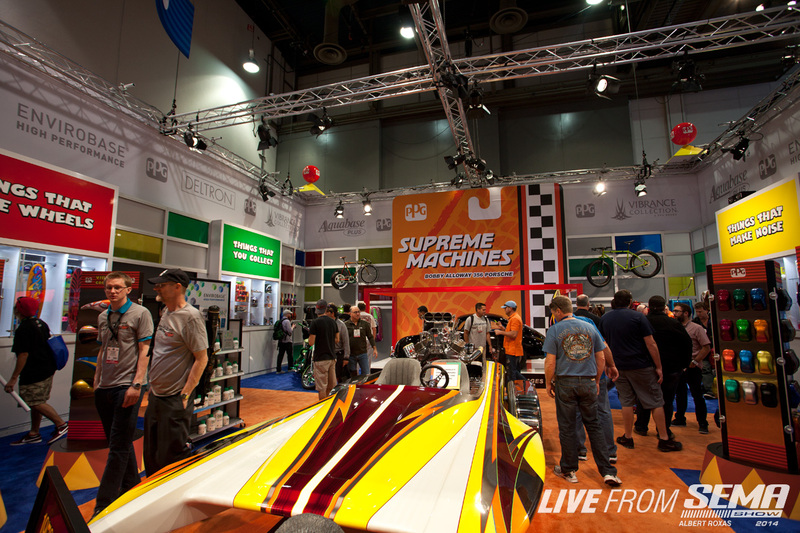 SEMA is all about exposure - it's about getting people to your booth so they can see your feature cars, products and models. 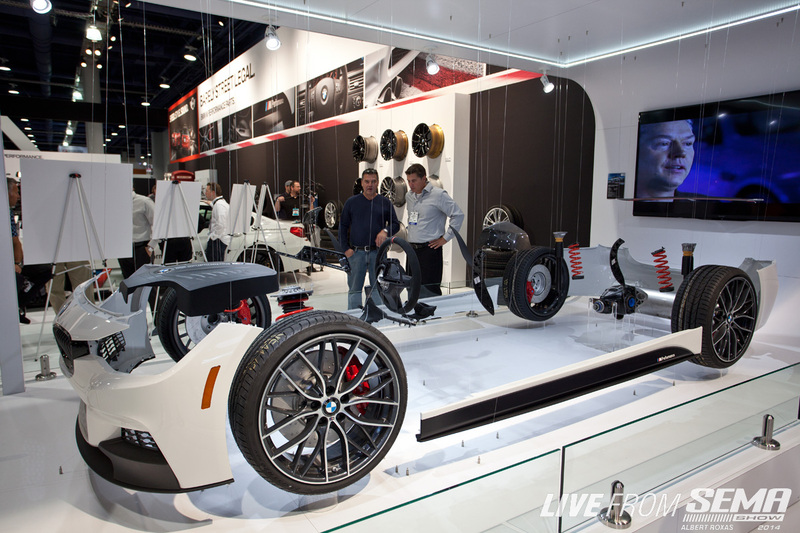 SEMA 2014 had some very creative and traffic stopping booths - here are my choices for the Top 5. 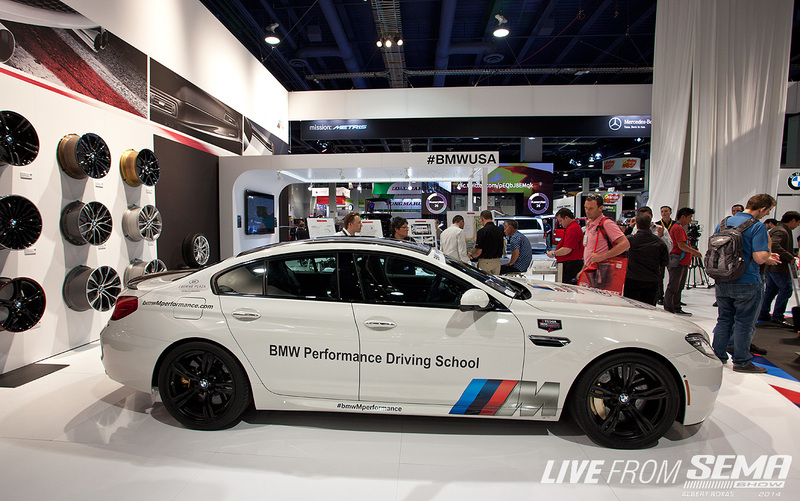 Hitting SEMA hard for the first time is BMW...yes, the manufacturer. This is their maiden venture into wholesale aftermarket and boy did they make a splash. 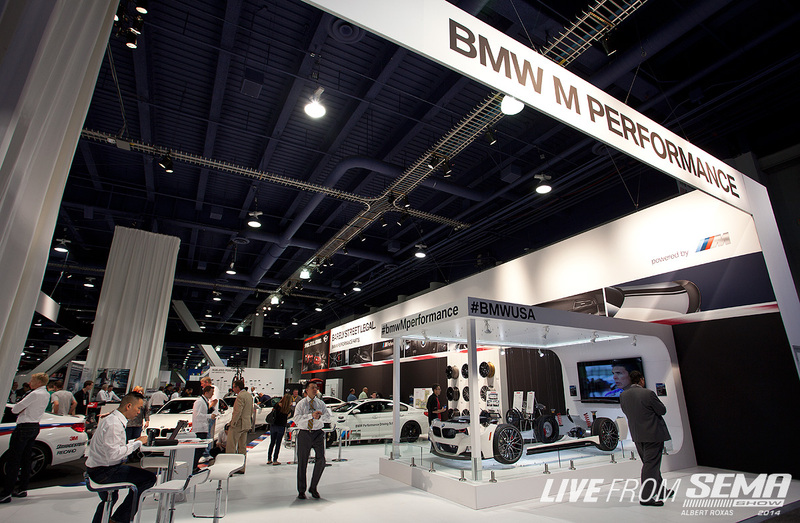 The M Performance Division brought out all the stops with a great floorplan, a bunch of cars, amazing giveaways and interactive technology. It will be interesting to see what the footprint looks like next year! 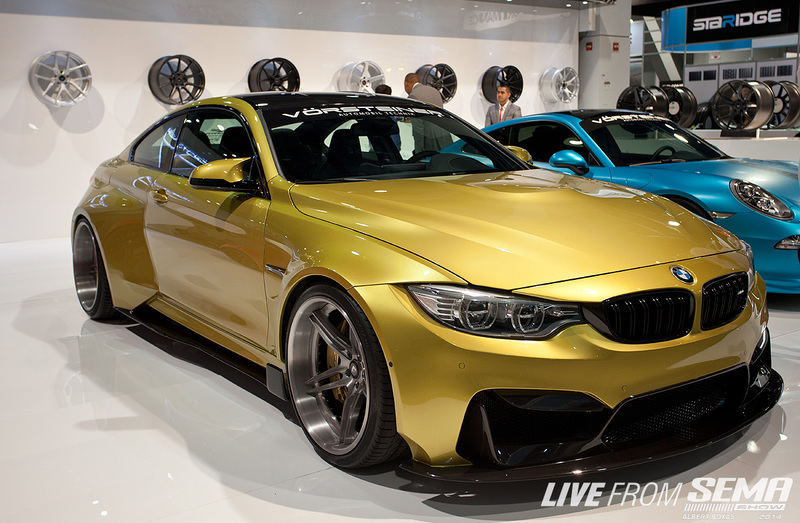 Directly next to BMW is Mercedes (Gah! 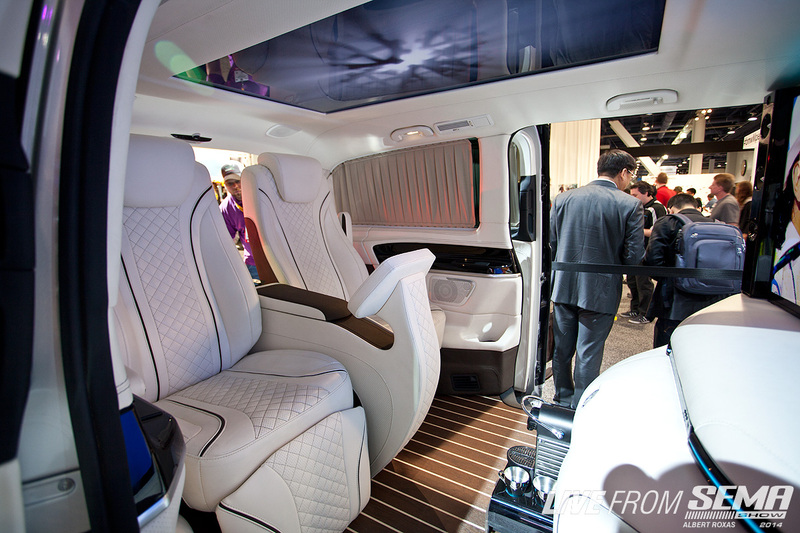 It's attack of the OEM's in the aftermarket!) - showing off 3 of their new mini-sprinters (actually called the Metris) - all customized and ready for purchase in late 2015. They had a mini Scion Tuner Challenge type event with these vans that had some pretty cool builds - find out more at www.mbusa.us/metris. HRE Wheels brought out the heavy firepower feature vehicle wise with a Porsche 918 Hypercar, Porsche 991 GT3 and Lamborghini Huracan - all on HRE Wheels (2 different pairs on each side!) For pure automotive content alone these guys destroyed it. 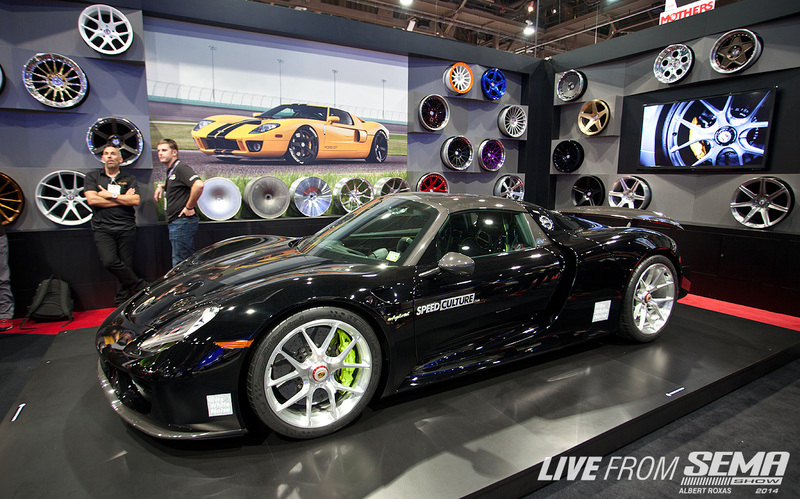 European Automotive Tuner Vorsteiner had a very classy booth (they served Champagne during the GTRS4 Release!) 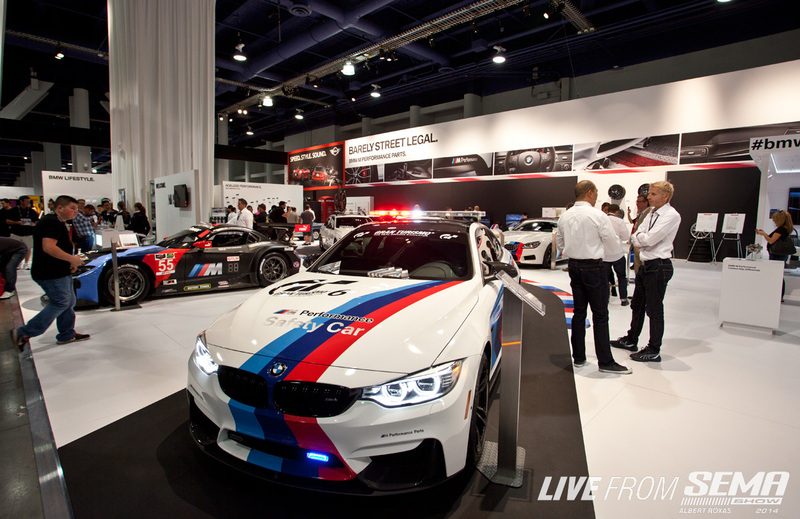 for their first visit to SEMA as well. 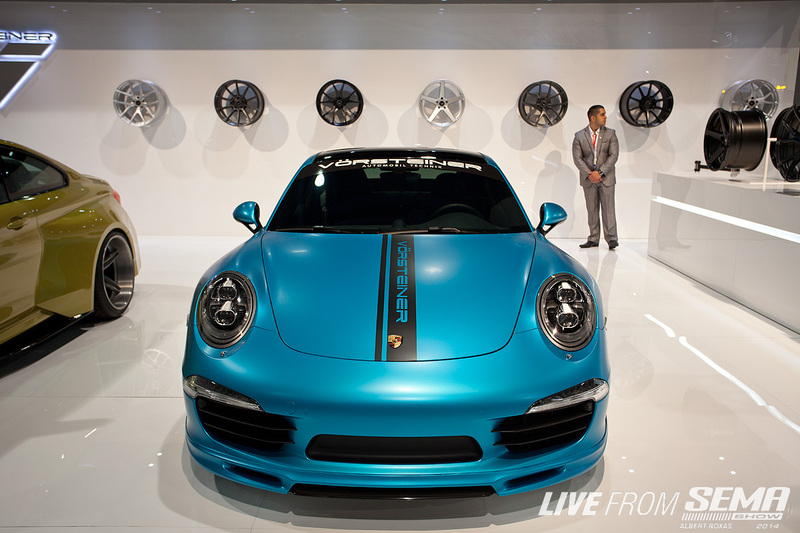 Covering the European manufacturers brands with a BMW M4, Lamborghini Huracan and Porsche 991 in the booth. Loved the clean black and white theme carried throughout the floorplan. 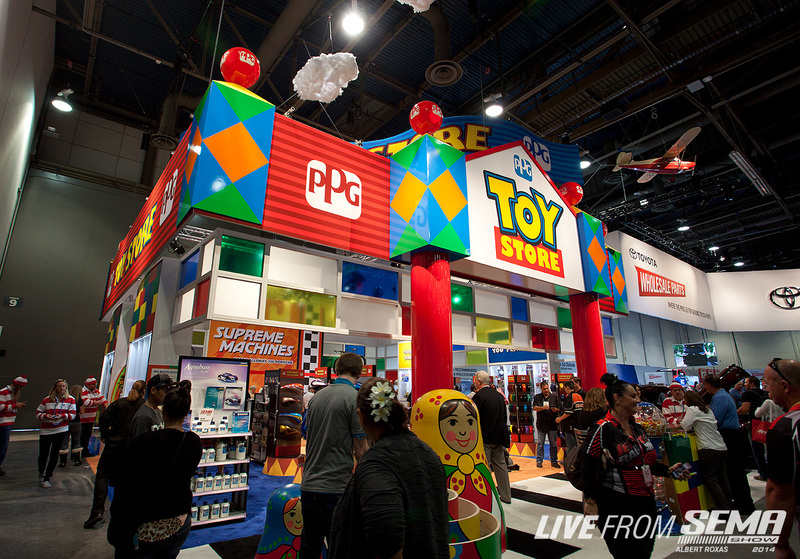 Paint specialist PPG brought out all the stops with an incredible Toy Store (Toy Story/Pixar) themed booth. Amazingly colorful with the theme carrying out EVERYWHERE in the booth. 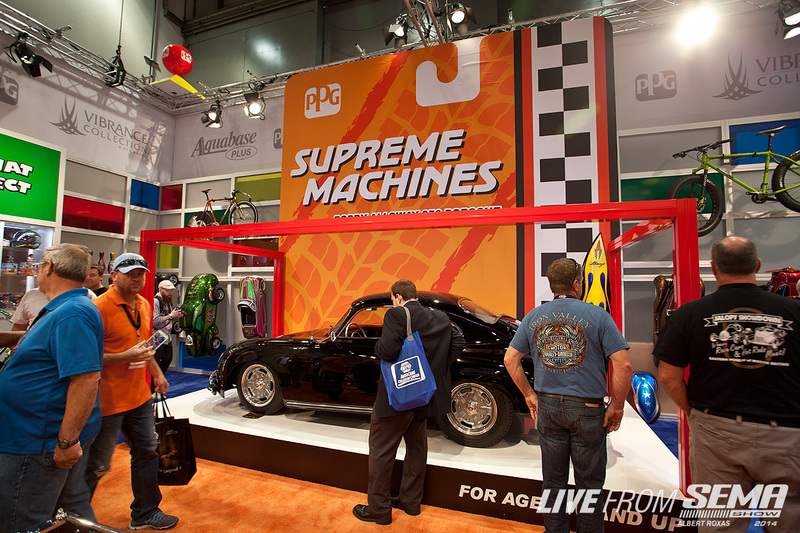 Note the full scale hotwheel Porsche 356! 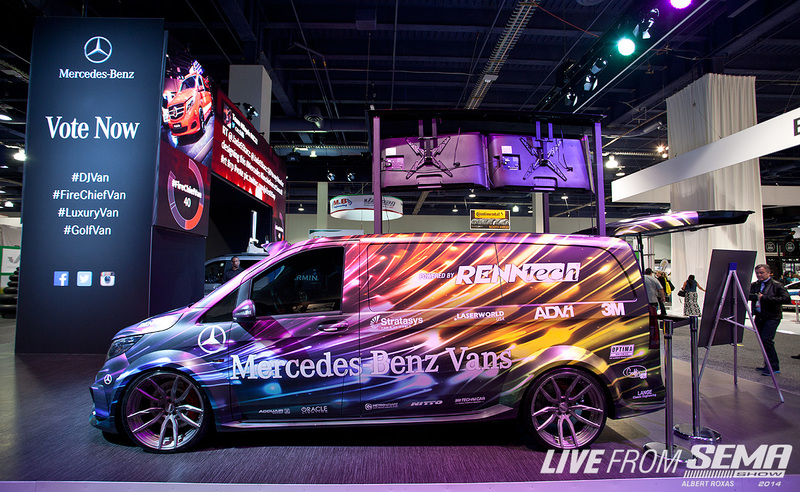 Can't wait to see how these 5 step it up for SEMA 2015! 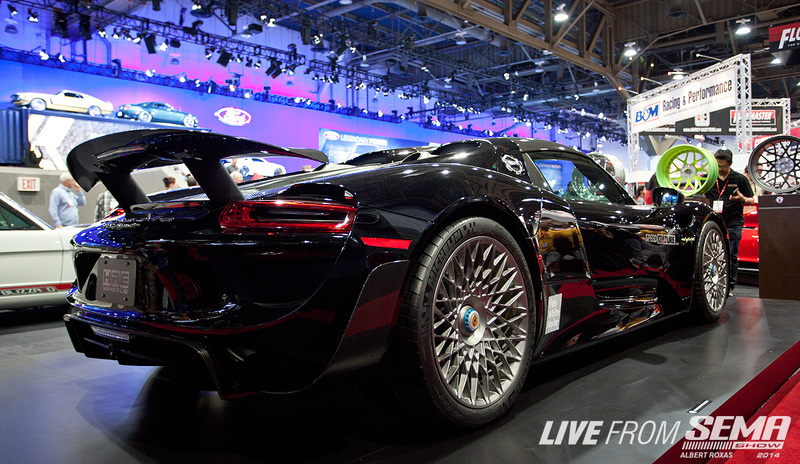 Visit www.livefromsema.com for more show coverage!